Do you want to improve your child’s language and learning in 20 minutes? Since beginning my website in 2012, I have become passionate about learning different literacy strategies to improve read alouds with my children. These skills have also helped me as a speech language pathologist and children’s book author. This eBook that I wrote is a combination of evidence based tips that any parent can use at home! 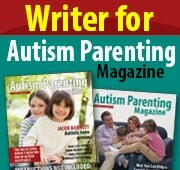 Each chapter highlights a different research article with various tips for parents that can used right away. The book also includes a parent glossary and additional information for parents on reading aloud during mealtime.